In his praxis, photographer Nikolas Ventourakis deals with contemporary social issues by focusing on the seemingly mundane. Having as a starting point the belief that when a situation is too complicated, it is the most unremarkable parts that sometimes hold the information that is needed to further our understanding of current events. Elements that society takes for granted, or that are not considered important due to their perceived “normality”, when contextualized, or sometimes decontextualized can be used as waypoints on a map that give away patterns that might remain hidden. 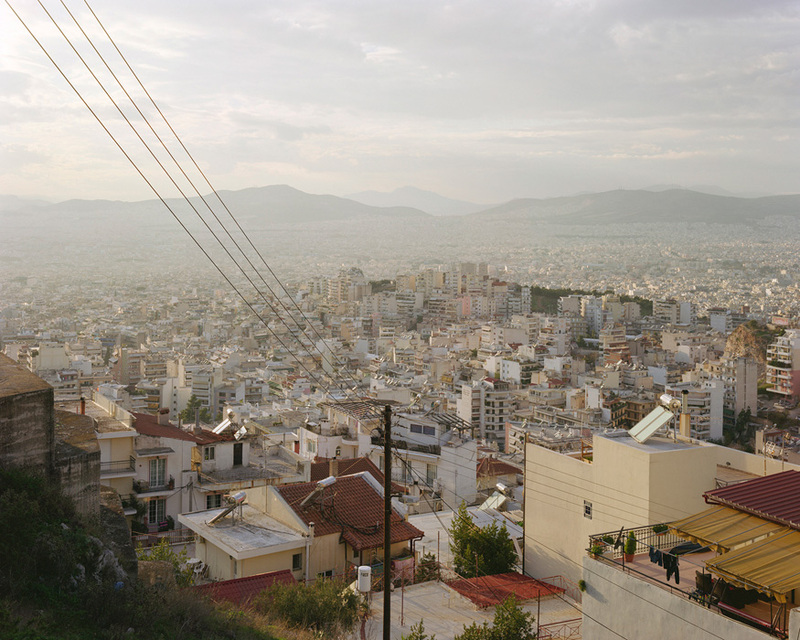 Following that methodology for his project “Leaving Utopia”, Nikolas compiled a visual narrative as a reaction to the social crisis in Greece. It is not a documentary, yet it is a document of a fluctuating and hostile environment, in which past rules are overturned and new realities reveal themselves. The project records a newly discovered continent that is Europe of the 21st century, where billboards advertise no new and brighter lives and the people are offered a multitude of dystopian futures. With “Leaving Utopia” questions are asked. The answers are still to be found.